In the fast lane of post-internet culture, ANINVITATION observes the 21st century artist’s disconnect between their physical and virtual bodies and their artistic practice. 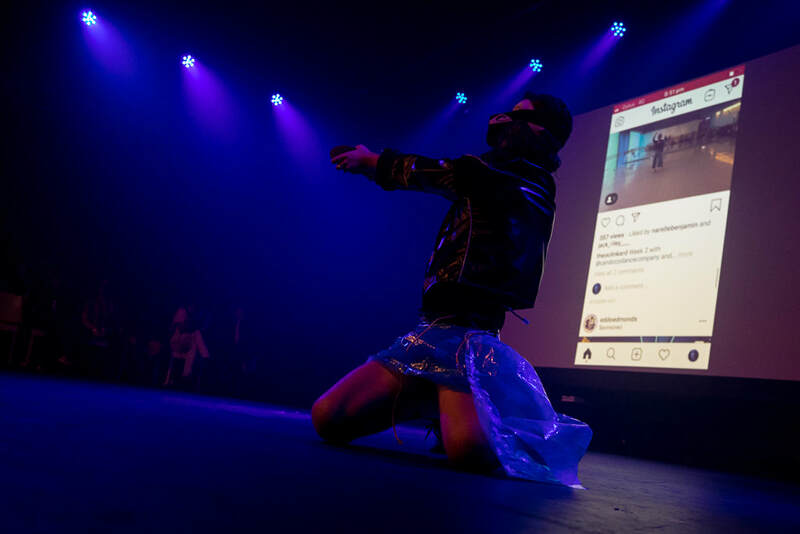 ANINVITATION was presented throughout the sold out season of Queer Nu Werk at PACT, Sydney, April 2019. The creation of this work was supported by Luigi's participation in Performance Space's Queer Development Program 2019. ​This work was created in collaboration with Katie Winten and the QDP crew. ADVANCES observes the effect environment and history have on the body and the ability this has to warp time. 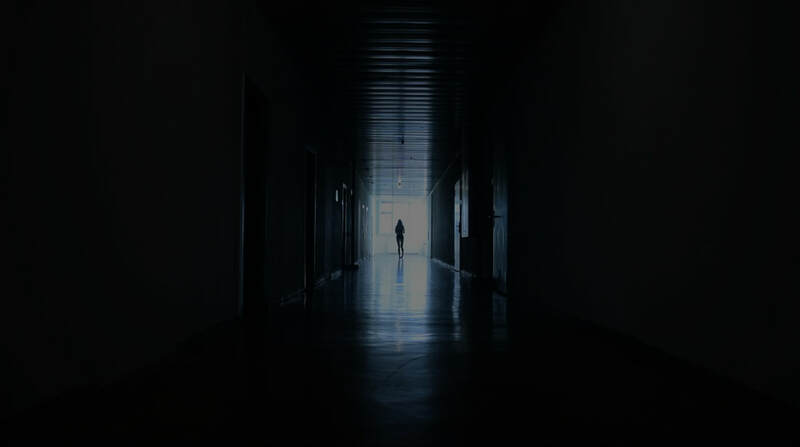 ADVANCES comprises two related works, a short film and live solo performance. This project is a response to Luigi's experience living and creating in the former Operative Technical Sector of the Stasi (GDR) in Berlin-Alt-Hohenschönhausen, Germany. Shot in Berlin during November 2017, the short film challenges notions of progression and ambition. The live component explores ways we process information, both to generate power and in seek of relief. Through a constant recycling of energy, this movement meditation uses the idea of processing and re-processing to work towards a letting go, moving beyond or rewriting of our story in some way. The works were presented at PACT in Sydney as part of the curated event PACT Salon: Desire Lines, February 2018. Thanks to support from the Ian Potter Cultural Trust, PACT, EIRA, the Câmara Municipal de Lisboa (Lisbon City Council), and Polo Cultural Gaivotas Boavista, (Lisbon, Portugal). Animal Alone observes the artist as both animal and prisoner, held captive by the structures in which they form and are formed. Prioritising transparency, independence and a surrendering to desire, this project continues Luigi's enquiry into the accessibility of connection in a hyper-developing world. This work was created in 2017 in residence at EIRA / Teatro Da Voz and Polo Cultural Gaivotas Boavista (Lisbon, Portugal). Thanks to support from the Câmara Municipal de Lisboa (Lisbon City Council) and the Ian Potter Cultural Trust (Australia). Navigating the moral compass we teeter on the cusp of choice, grappling with honesty versus censored expression. Physicalising the challenges of connecting in an overwhelmed society, this other worldly and highly sensory experience exposes the need for a global reconsidering. ​There is so much more. Luigi’s artistic team creates an intuitive, responsive and emotive medium through movement improvisation practice, choreography and progressive real-time sound design. There Is So Much More was created in 2016 thanks to support from the Australia Council for the Arts and Chunky Move through their MAXIMISED residency. Special thanks to Jo Lloyd (mentor) and Anouk van Dijk for their generosity and support. We are animals alone but we are human together. A shedding of expectations and inhibitions reveals an honest and inherent yearning for intimacy. ​Presented in April 2016 as part of the inaugural Body Conference 1.0 at Conduit Arts, Melbourne. Surrounding each decision lies complex considerations. This project aims to magnify the temperamental space where understanding boils and misinterpretation threatens. ​Luigi negotiates set scores through real-time practice with an intention to create a perceptive and responsive medium that reflects the challenges of living in a society full of choice and influence, of freedoms and restrictions. Improvisation exposes the relationship between experience, instinct and personal tendencies, as well as the conflict associated with a surrendering to desire. This work was developed in June 2015 with support from Dancehouse, Melbourne. An individual's plight for self-expression among the rigid values, beliefs and expectations of a group. Being raised in a catholic family, as an adolescent Luigi grappled coming to terms with his sexuality. Inspired by personal experience, he created this piece for the New Zealand School of Dance Choreographic Season And Then It Moved in May 2013. The season was presented in Wellington before touring to The Body Festival in Christchurch and Tempo Dance Festival in Auckland. "This is a work with strong dramatic imagery and powerful scene-making", Sam Trubridge for NZ Theatreview on One of Them.